I put yesterday my visualization package for gradient descent like optimizations on PyPI. So I'd like to announce it's availability here. Kerasvis is a Web based visualization tool, which allows you to monitor your gradient descent like (SGD, ADAM, ADAGRAD, ...) optimizations in the browser as they run. From time to time I have to do a whole bunch of deep learning tasks simultaneously. I run them on a couple of GPUs in the cluster. I'd also like to have an easy way to see how they go. Are my learning rates OK? Are they too small? 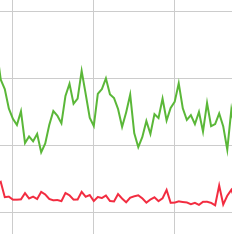 Which hyperparameters look OK? Moreover, I also want to have a log of the parameters I used. I'm mainly using RNNs which I implemented as custom classes for the Keras framework. 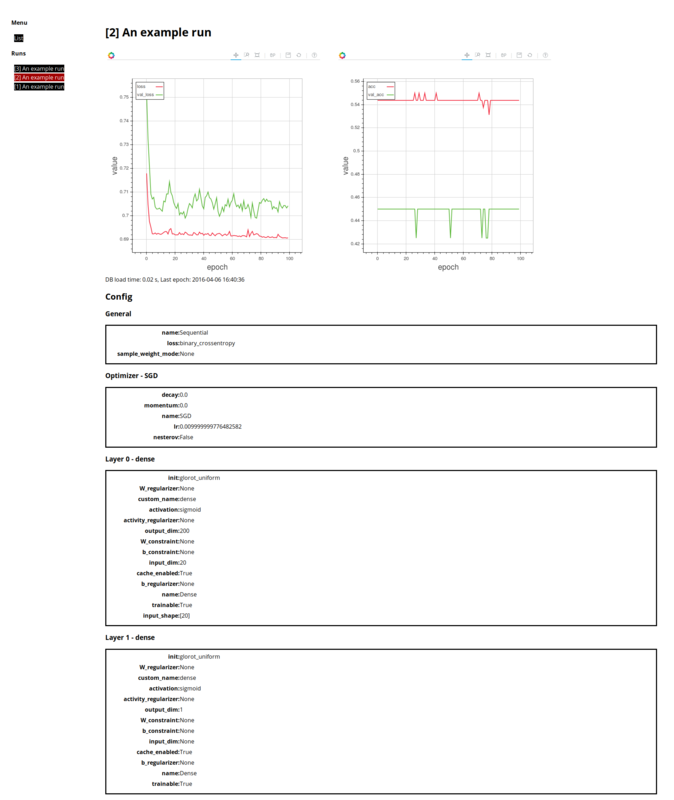 Open the browser, point it to your kerasivs server and start to inspect your optimizations. Check the README on github. The package is really very easy to use. Kerasvis - Visualizing Gradient Descent Like Optimizations in Python. For Keras and other packages.